Good news for all you TV junkies. 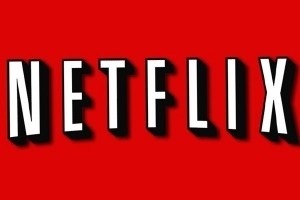 Netflix just announced its upcoming original series “Orange is the New Black,” which will start on Thursday, July 11, 2013. Created by Jenji Kohan (“Weeds”), the comedic drama, starring Taylor Schilling, is set in a women’s prison and is based on the U.S. best-selling memoir by Piper Kerman. As with this winter’s dark political thriller “House of Cards,” all thirteen of the one-hour episodes in the new series, from Lionsgate Television, will be available at launch. In addition to “House of Cards,” with Kevin Spacey and Robin Wright, Netflix has also produced original programs “Hemlock Grove,” Eli Roth’s murder mystery series based on Brian McGreevy’s gripping novel of the same name; the fourth season of the critically-acclaimed comedy “Arrested Development;” the second season of “Lilyhammer,” which stars Steven Van Zandt; and “Sense8” the upcoming global tale of minds linked and souls hunted from the Wachowskis and J. Michael Straczynski. This entry was posted in digital, senior lifestyle, tech and tagged Netflix, Orange is the New Black. by loiswhitman. Bookmark the permalink.